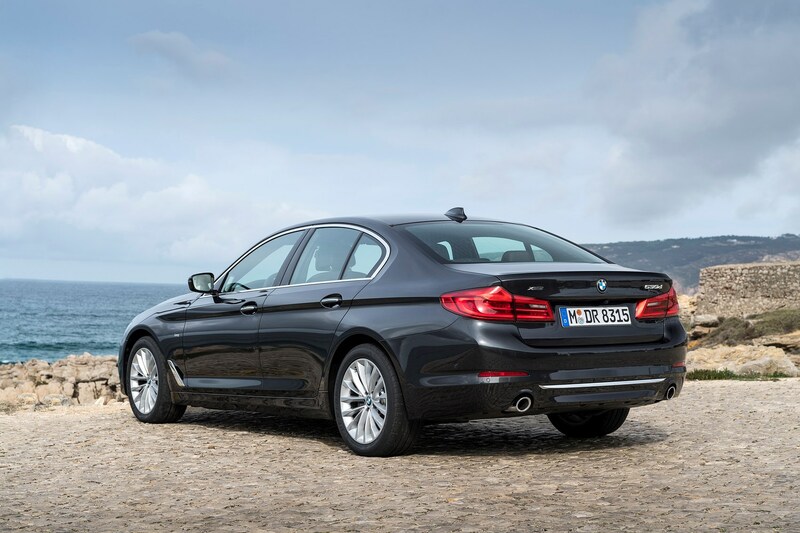 Which BMW 5-Series Saloon is best for me? 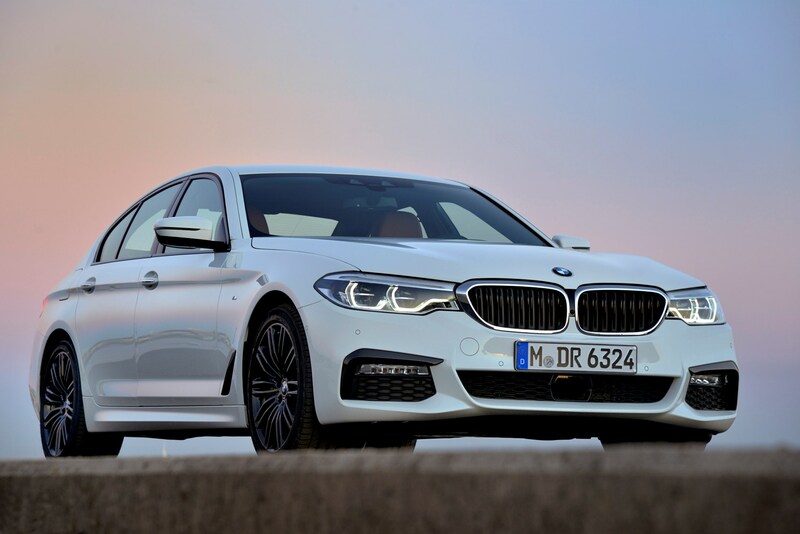 While a 520d isn’t the cheapest to buy, it’s not far off being so and the blend of economy and performance on offers makes it excellent value for the majority of 5 Series buyers. 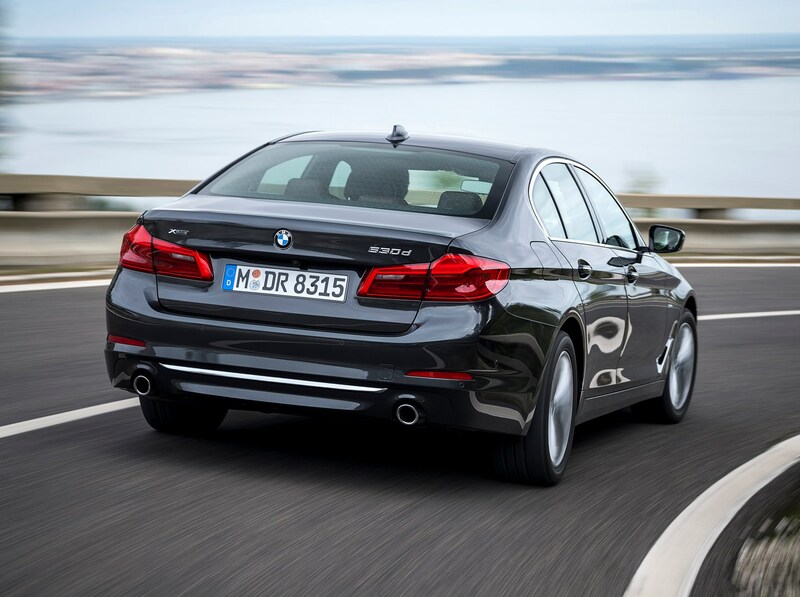 If you’re a company car driver, the plug-in hybrid 530e’s low BIK (13%) is by far the most appealing option. 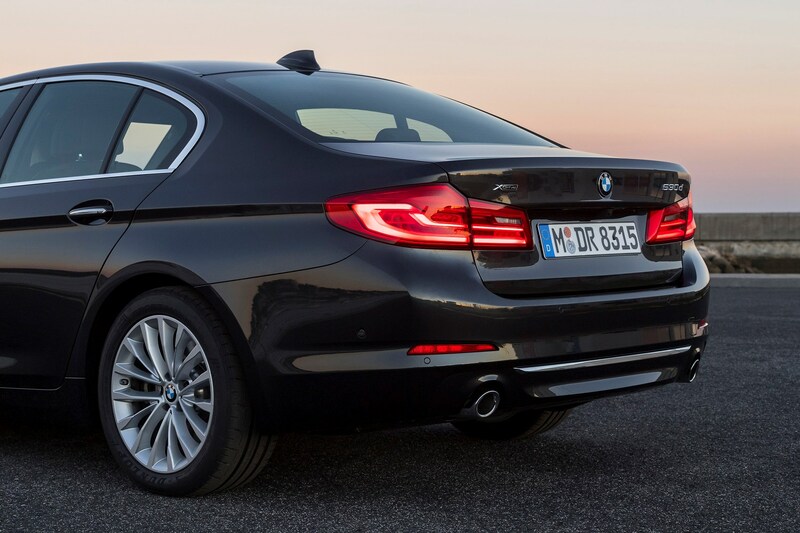 The 520i petrol comes after this at 25%, while the popular 520d comes in at 27% for the EfficientDynamics derivative. It’s fair to say there isn’t an M5 that’s going to leave you disappointed. 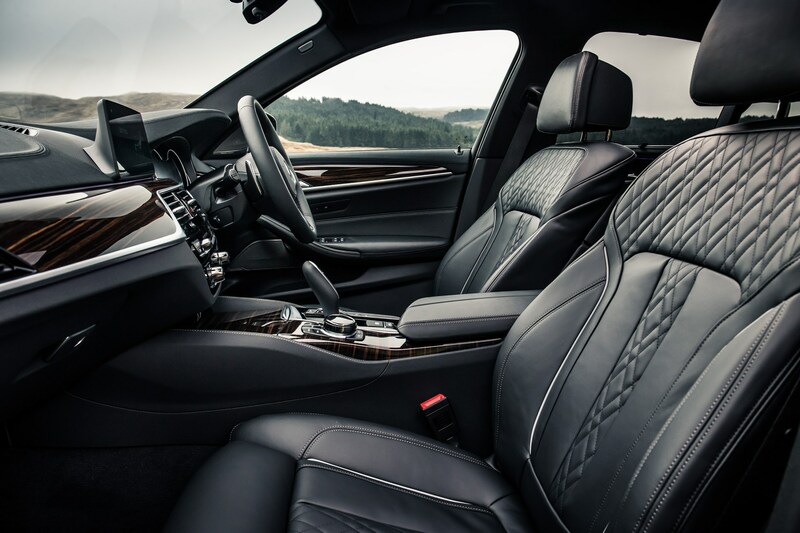 Its monstrous performance and excellent refinement make it a car that’ll appeal to a lot of drivers – if they can afford it. 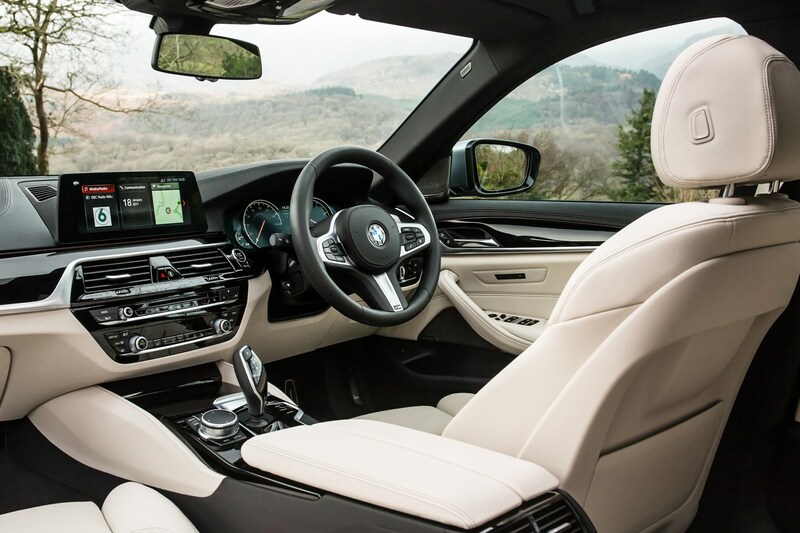 However, as with many premium German performance cars, there’s a vast range of options to decipher before arriving at your final specification. Very few, if any, M5s will arrive in base specification. The car we’re driving here is case in point, with an extra £13,790-worth of options added on top of the £87,160 initial list price. For example, that Rhodonite Silver paint costs £1,095. There’s a set of carbon-ceramic brakes on board for a whopping £7,495 and we don’t think this is a wise purchase until you drive on track regularly – otherwise steel items do 99% of the same job, with nicer low-speed manners and lower maintenance costs if anything breaks. 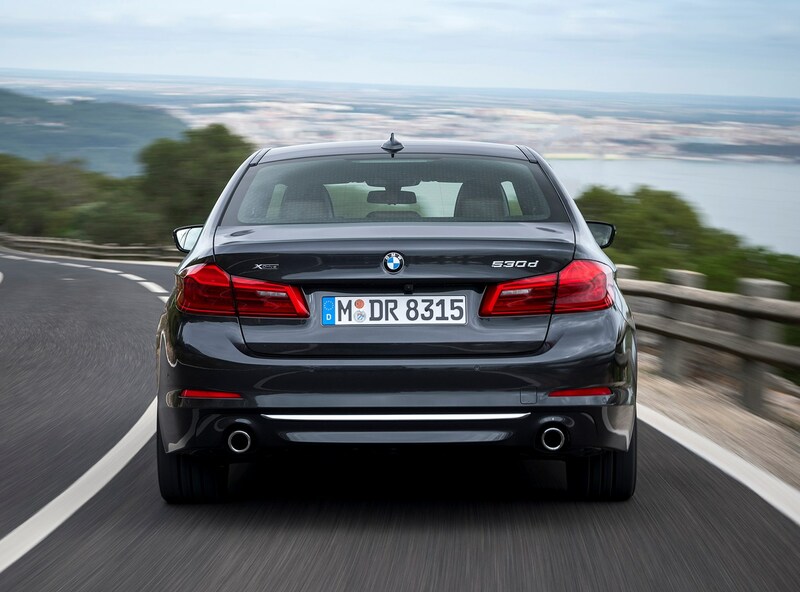 An M Sport exhaust system is something our testers would recommend, however, because it improves the noise the M5 makes, sounding slightly less artificial than the synthesized note in the standard M5. We’d pick the Comfort Package too. 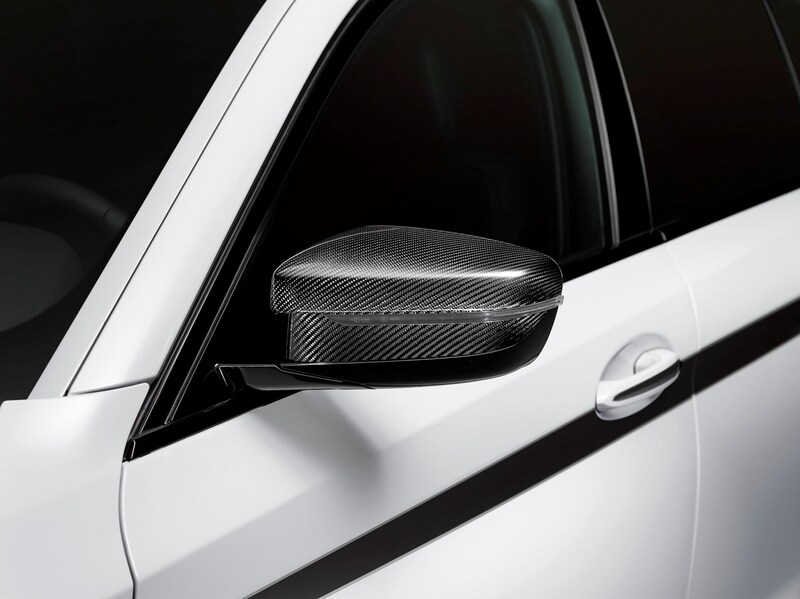 This £1,195 combo nets you a heated steering wheel, tinted windows, split-folding rear seats, heating for front and rear seats, and a display key with screen to monitor various aspects of your car remotely – such as fuel level and whether it’s locked or not. However, the Premium Package makes slightly less sense to us. 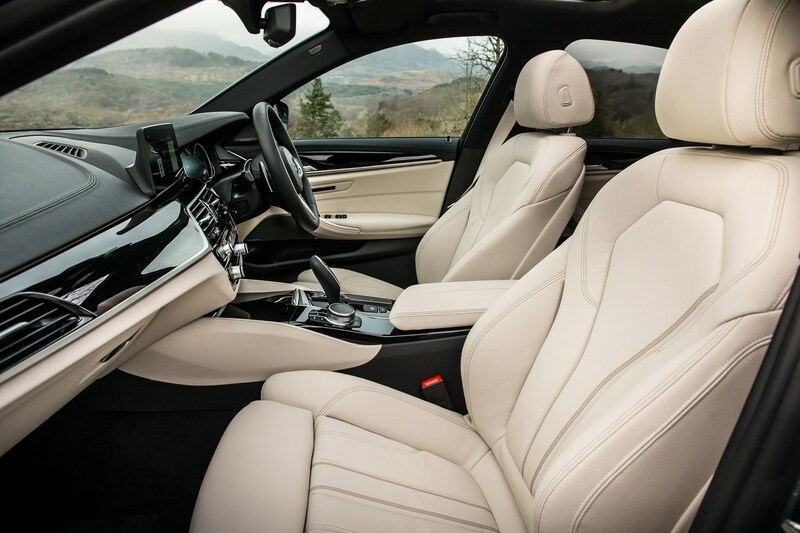 For £1,995 you get soft-close doors, massaging and ventilated front seats, an air freshener and ceramic finishing for the physical controls in the cabin. 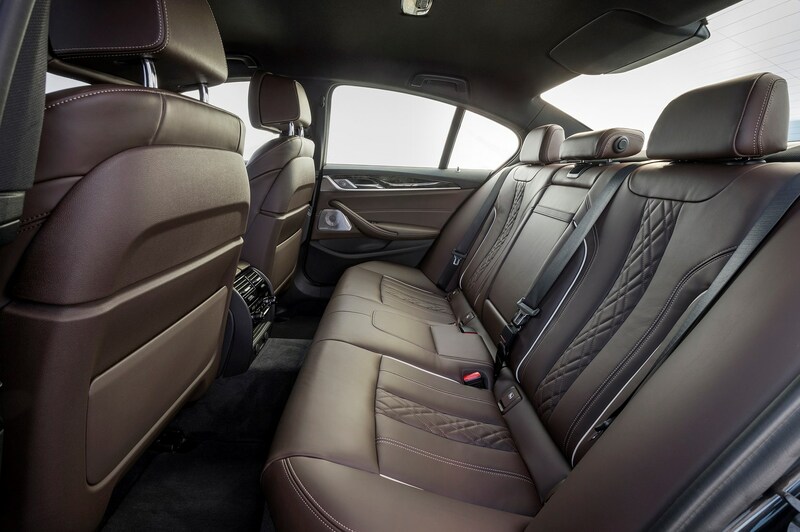 We reckon that’s a lot of dosh for what feels like a little added luxury. 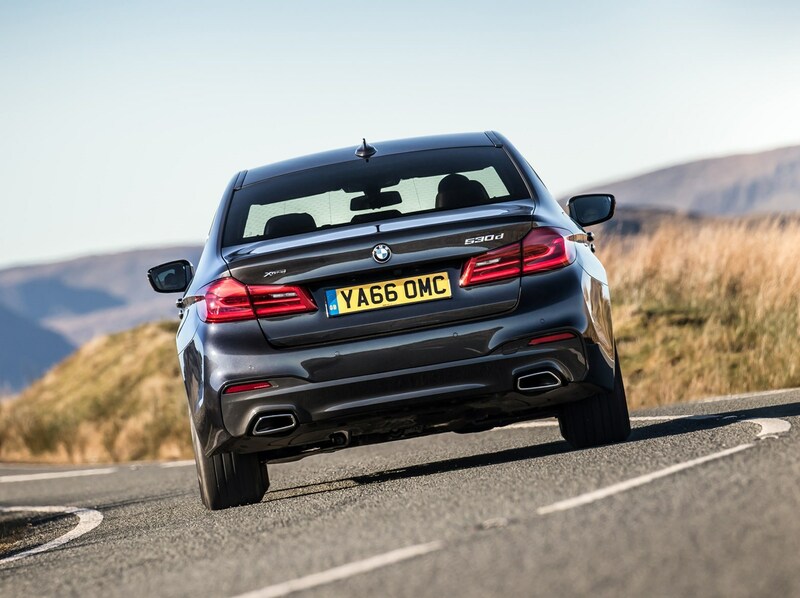 We think the electrically folding towbar isn’t bad for £855, and the M5 has a useful 2,000kg braked towing capacity to go along with it. 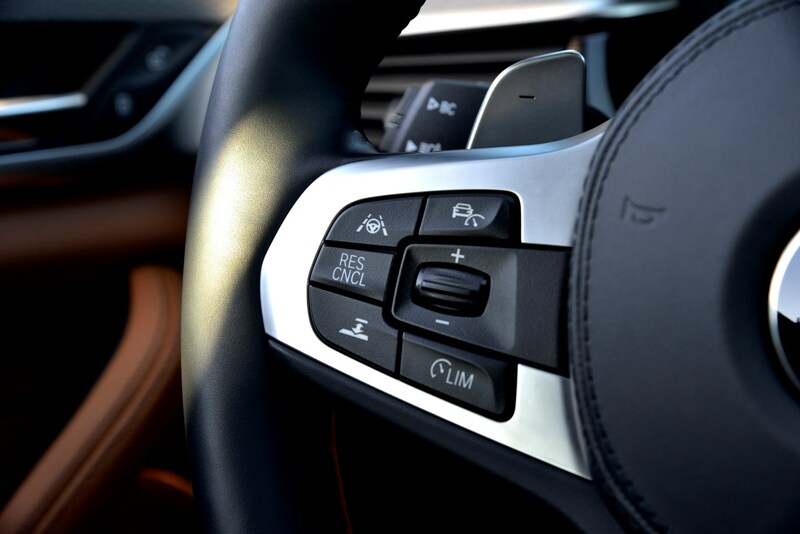 Charging £235 for Apple CarPlay seems mean, though, and so does £260 for M seatbelts. 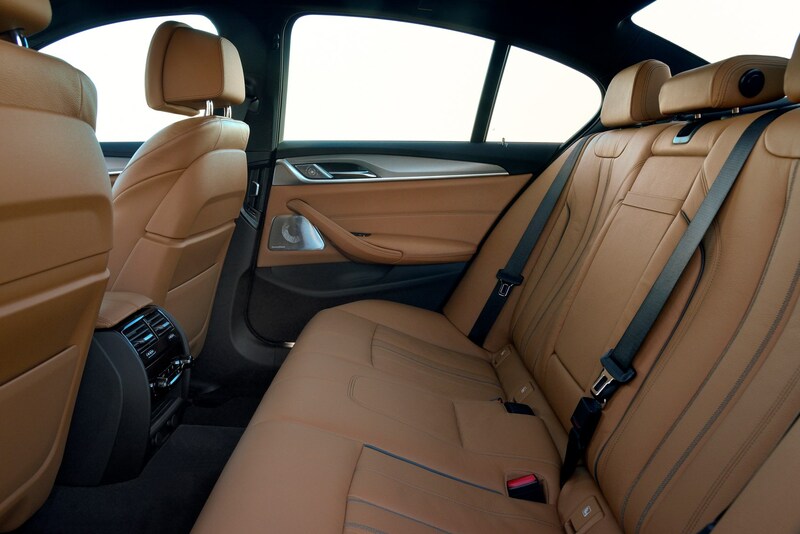 In all, this isn’t our perfect spec of M5, but the really important bits are all on board. We’d save a bit of cash on some of the less essential options like those carbon-ceramic brakes though. The only question left, then, if whether the M5 itself is enough for you. 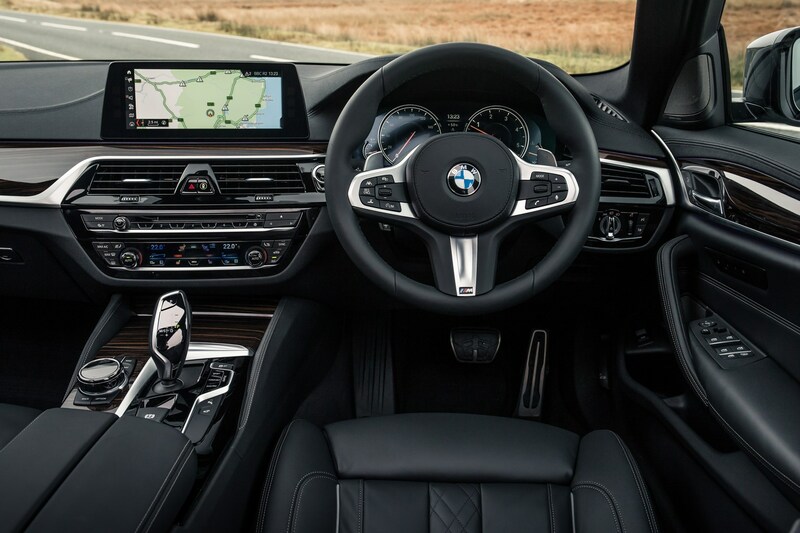 If you’re wondering, then why not wait until our testers have tried the faster, harder M5 Competition instead? 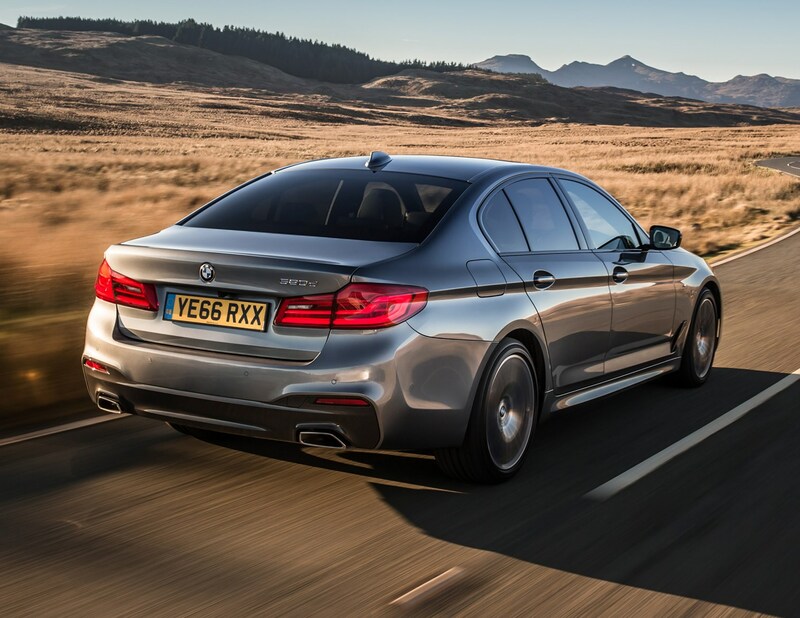 BMW M5: should I pick the Competition version? 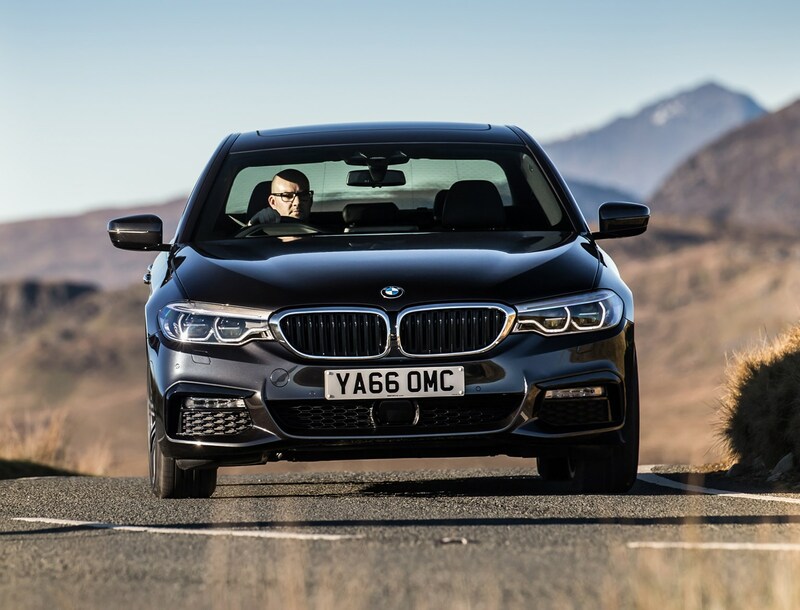 We've had the chance to sample both the regular M5 (if indeed you can call a 600hp supersaloon 'regular') and the M5 Competition on the road in the UK. 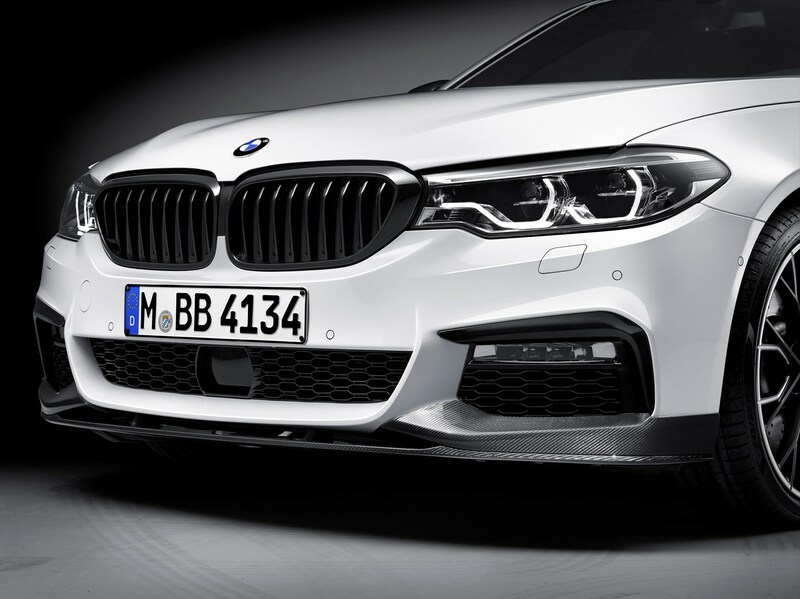 The first thing to note here is that while they may look extremely similar, the Competition version of this car has significant changes under the skin aimed at making it a far more focused performance car. For a start the car sits 7mm lower, while the engine mounts are stiffer and the suspension's springs and dampers have been adjusted for a more race track-friendly gait. 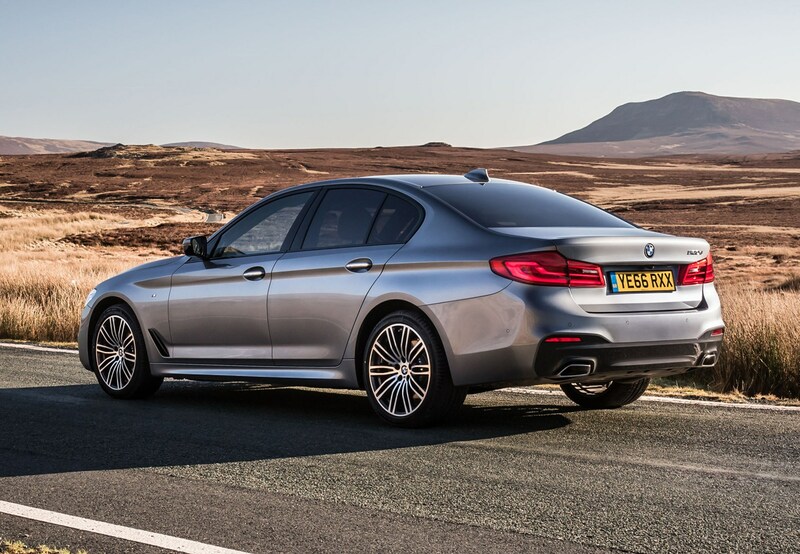 Lightweight 20-inch alloys and a sports exhaust complete the package, which costs an extra £6,500 on top of the M5's £88,880 list price. Given that's a chunk more cash and the resale value doesn't change, you'd expect that it adds valuable extra performance to warranty the extra outlay. And on paper, that's absolutely true. The Competition is faster, with 0.1 seconds shaved from the already startling 3.4sec 0-62mph of the normal M5. But that doesn't tell the whole story, because actually on UK roads for the vast majoirty of the time, the regular car will actually be quicker, as well as far nicer to live with day-to-day. This is because the chassis is more compliant, allowing you to use more of the engine's output more of the time. The Competition is a hard-edged animal of a car, and bumpy, off-camber roads can jolt it off line in a manner that becomes unpleasant when you're on a tight B-road. Furthermore, the firmer chassis transfers bumps and ruts directly into the base of the driver's seat far more aggressively, and there's more road noise in the cabin as well. That ride quality penalty and the loss of composure means it's enough of a compromise that we'd sacrifice that extra speed and simply enjoy the non-Competition car, which is one of the most complete everyday performance cars we've ever tried at Parkers. This impressive powerplant has four cylinders but still manages 190hp and 400Nm of torque, covering 0-62mph in 7.5 seconds, and crucially has a CO2 output of 108g/km in SE specification. There’s a huge amount of pulling power on offer here considering it’s only a 2.0-litre engine, and it works well with the eight-speed gearbox to provide all the punch you need. It can get slightly more vocal if you ask a lot of it, but the cabin’s so well insulated that this really isn’t too much of a problem. 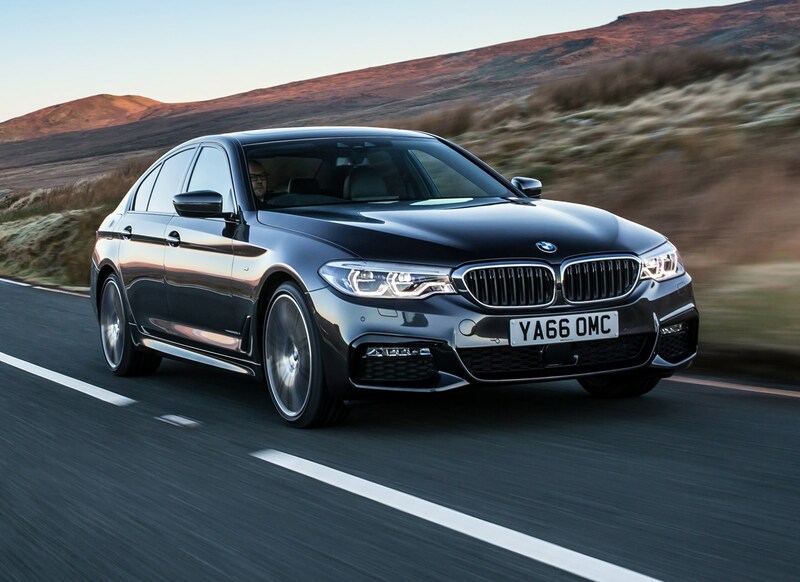 While the vastly more powerful 530d – with its 265hp and 620Nm meaning 0-62mph in 5.7 seconds – is a much nicer car to drive, its higher CO2 means it’s less attainable for many fleet drivers due to higher BIK tax. If you can afford it, you’ll enjoy the upgrade, but the smart money is on the lower-cost model. 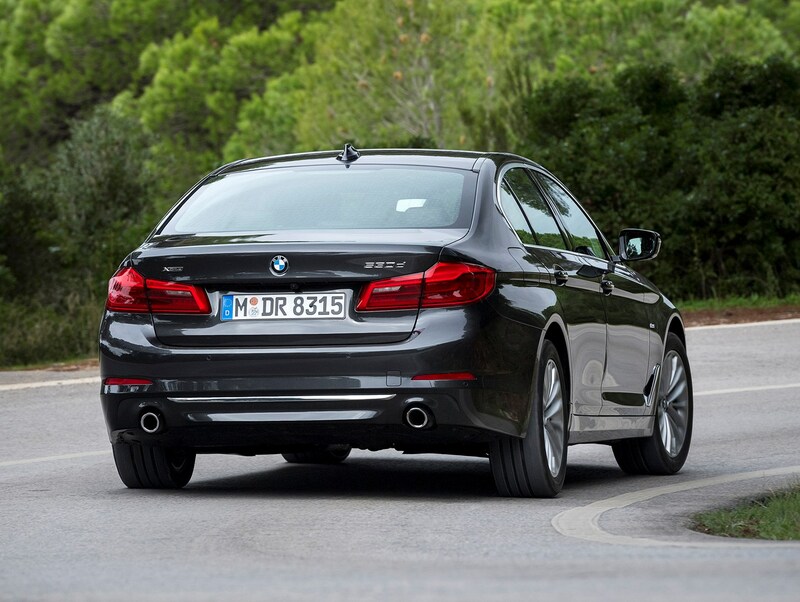 Do I need xDrive on my BMW 5 Series? 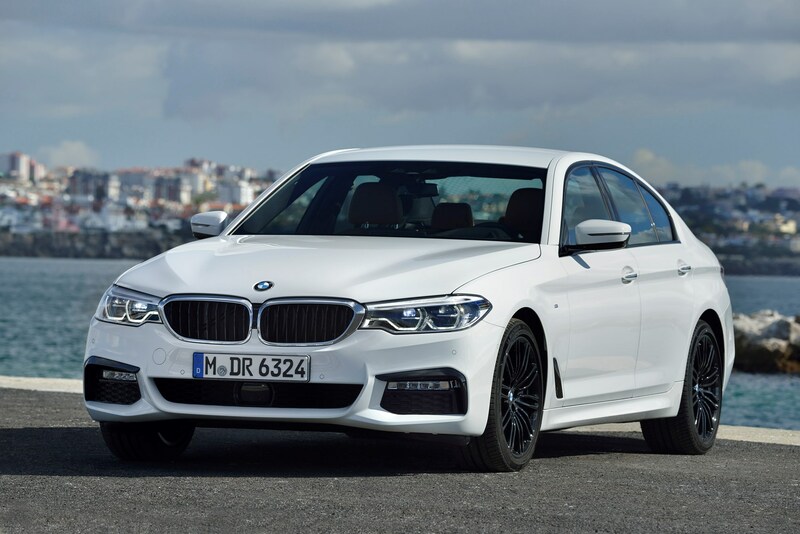 BMW’s all-wheel drive system – known as xDrive – is a particularly advanced system compared to Audi’s Quattro and Mercedes-Benz’s 4Matic set-ups, and commands a £2,000 premium on the 5 Series. However, we’d question whether you really need it for the majority of UK car drivers. For the handful of days’ snow we get and the fact our main roads are gritted regularly, it seems like a rather large investment. A set of winter tyres would be both cheaper and more effective when it does snow. 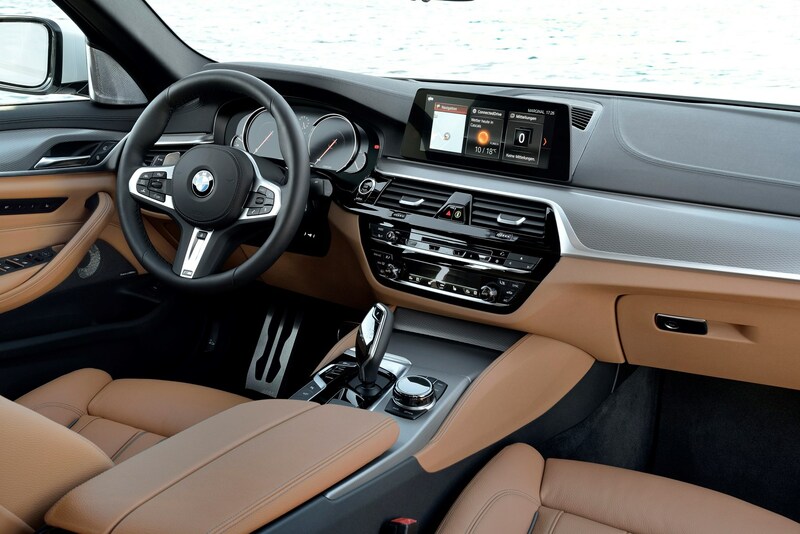 That’ll leave you free to spend the rest on other optional extras – which as is usually the case on bigger BMWs, are many and varied. Which trim is the best bet? 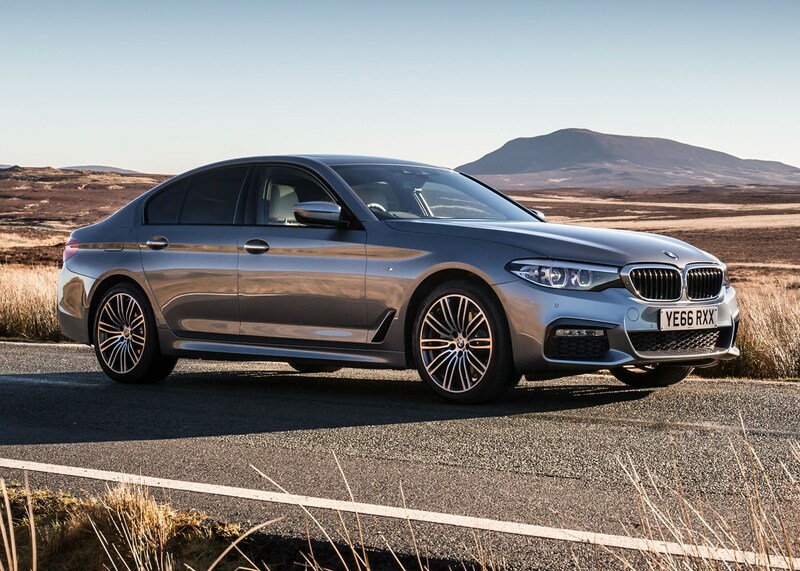 The car we’re driving here is in M Sport spec, which means it’s top of the range, but regardless of trim the 5 Series comes incredibly well appointed. 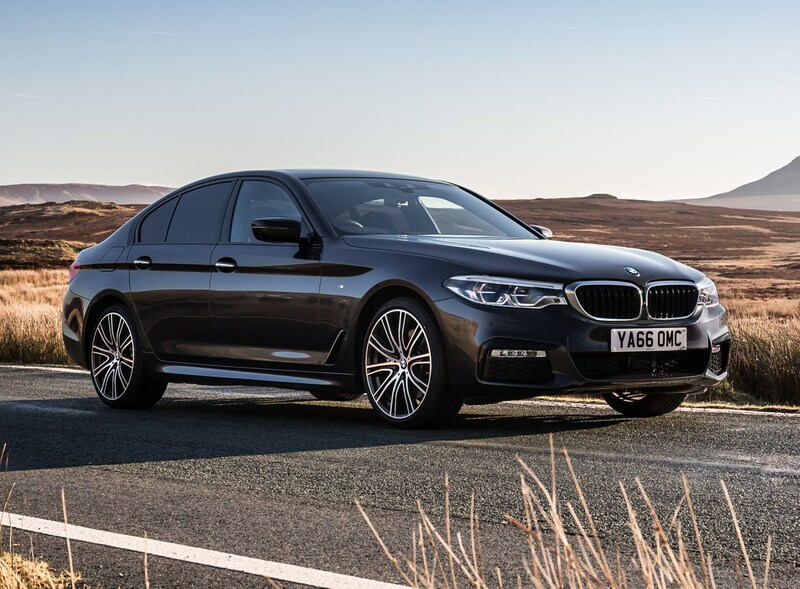 You can read more about the vast array of kit on offer on SE cars here, but this car’s an M Sport, which means you get sports seats, a bodykit and 18-inch alloy wheels. 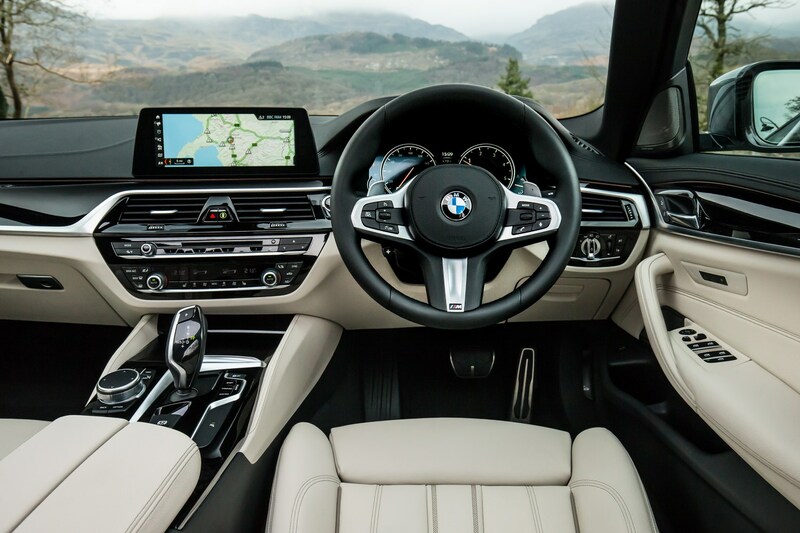 While we'd urge caution with optional extras that can quickly push the price up, the 5 Series is a car that really benefits from the fitment of the latest technology. Pick smartly and you could end up with an impressively equipped machine that doesn't cost the earth to run or tax. 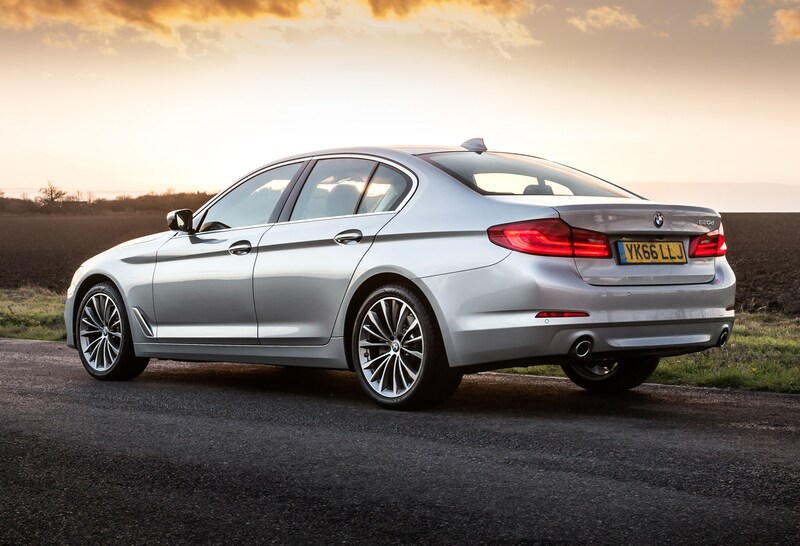 We don’t think you’ll be disappointed one iota with this car if you’re in the market for a 5 Series. 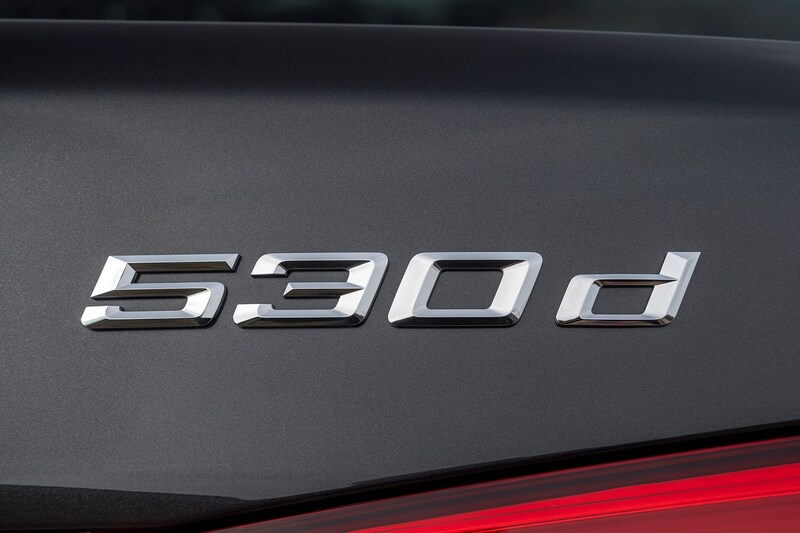 The 2.0-litre engine in 520d models is one of the most impressive blends of performance and low running costs we can think of, and it’s definitely the pragmatic choice in the range. 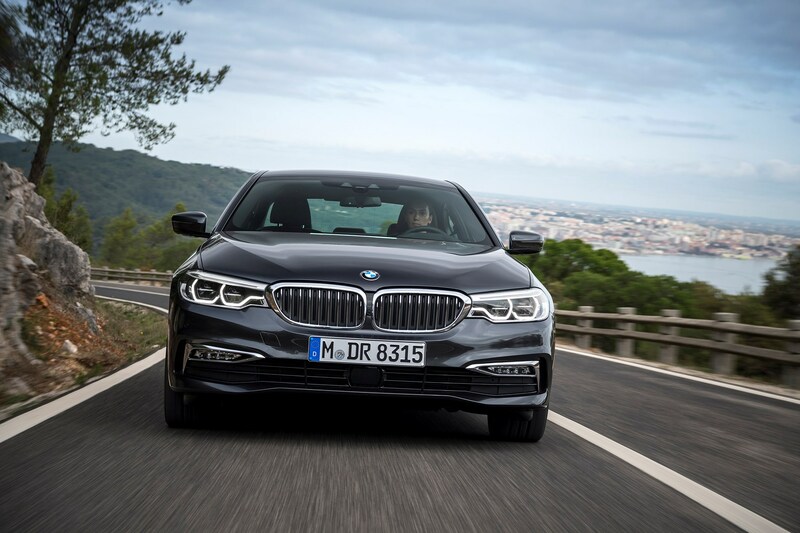 BMW has kept its plug-in hybrid variant of the 5 Series suitably subtle, with very little to suggest it’s running with a petrol engine matched with an electric motor. In fact, the only signs are the 530e badge, a small ‘I’ badge on the wing and a flap for the charger also on the front left wing. Otherwise it’s business as usual, which is the overall vibe you get from this car. 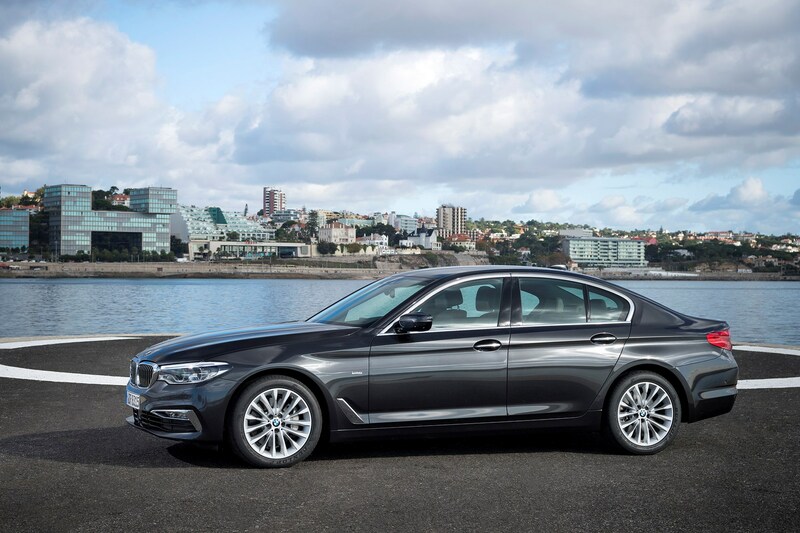 The 530e tries to drive around on battery along as much as possible when you jump behind the wheel, aiming to be as frugal as possible. In reality, a full battery charge will last for just under 30 (very careful) miles, but it doesn’t take much for the engine to kick in if you put your foot down a little bit. If this happens regularly, the real-world battery range is closer to 20 miles. 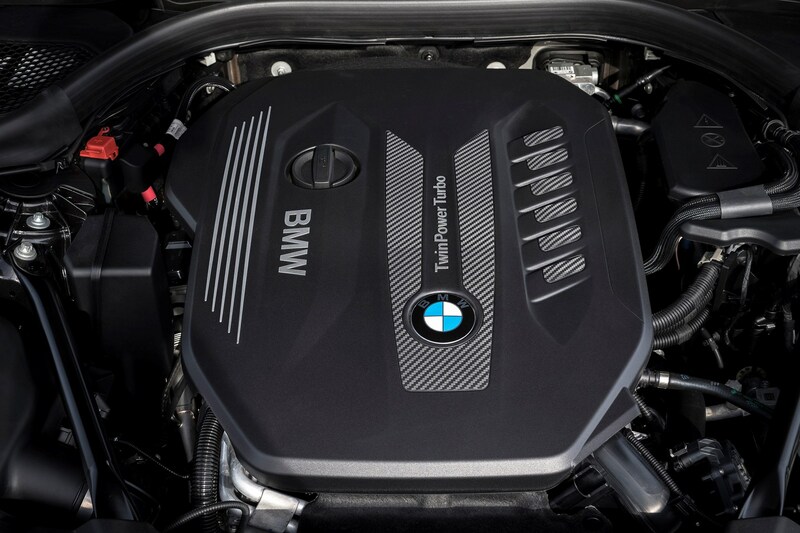 When the engine does kick in, it’s very difficult to hear and feel the 2.0-litre petrol engine spring to life, operating very smoothly and quietly. It’s a very effective hybrid system in that it remains punchy and refined, and doesn’t feel like you have to tiptoe around the car for fear of waking the engine. 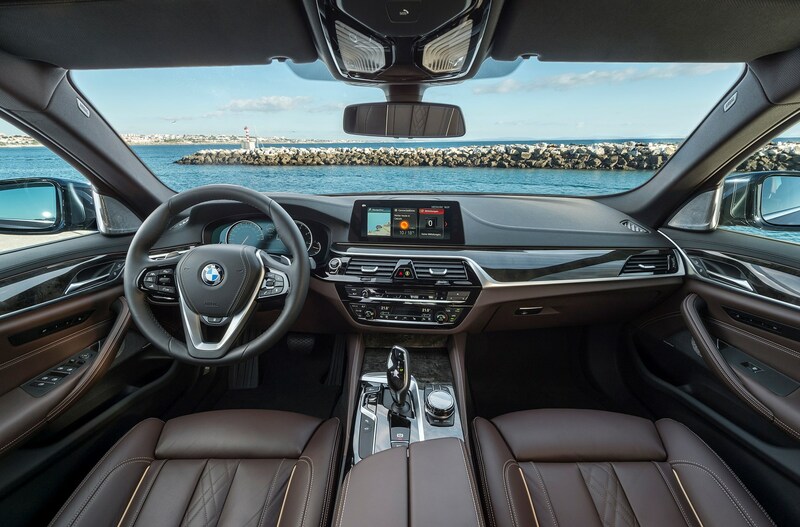 Cruising around in the silence of battery-only mode is particularly relaxing, and highlights just how refined and relaxed being in the 5 Series is. It’s only when the engine kicks in and you demand some more power that things get a little noisy from the engine. 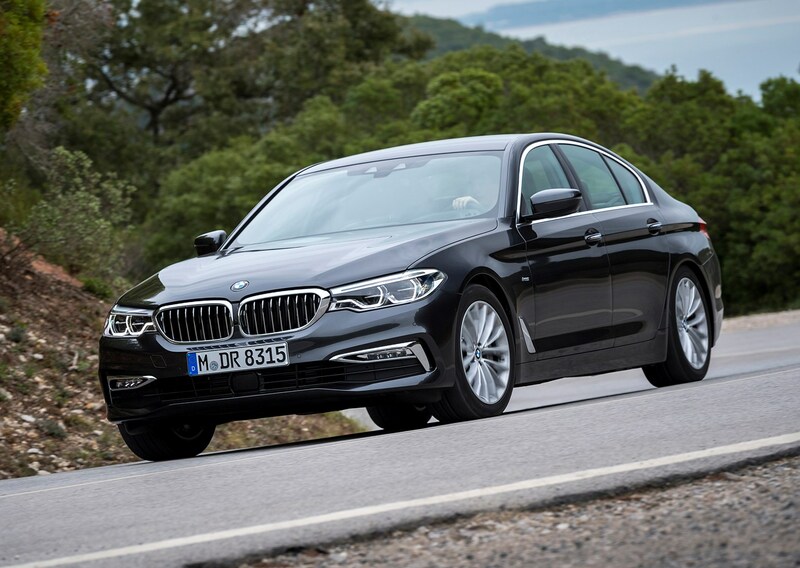 Everywhere else, the 530e is just as good as any other 5 Series model, but the benefits of the plug-in hybrid powertrain will be limited to those concerned with BIK rates over anything else. 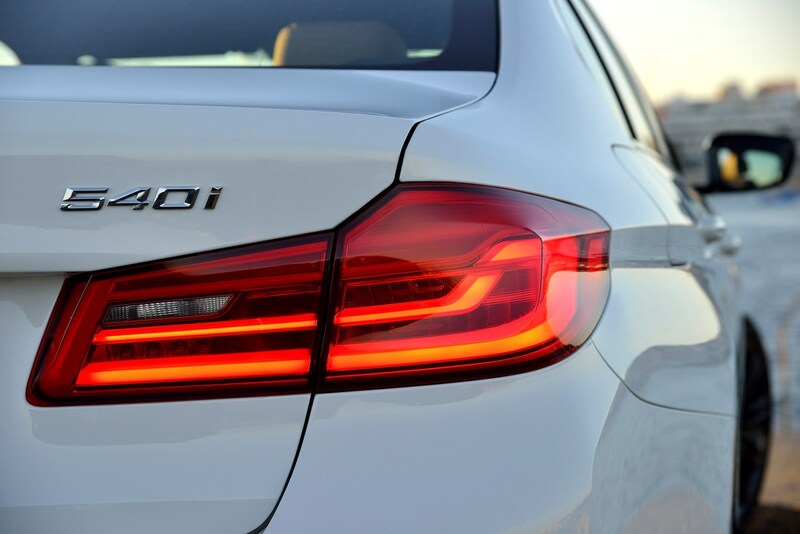 For every other buyer, a regular 520d will do the job. 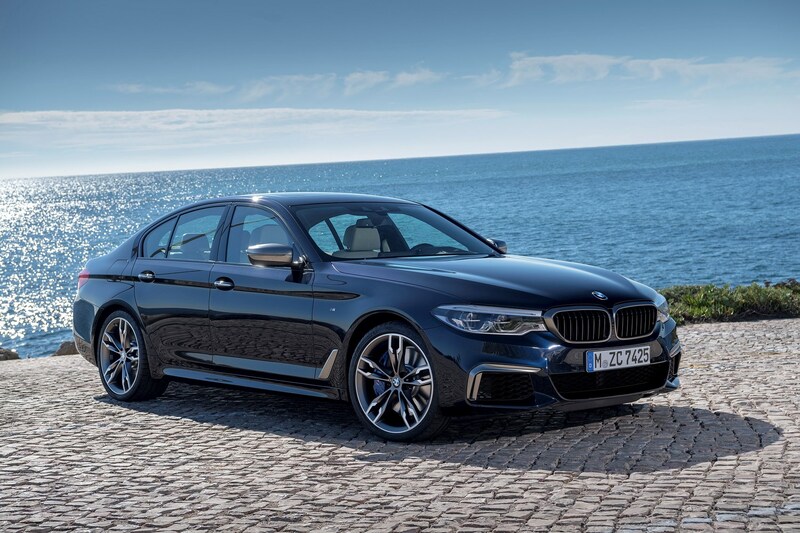 February 2018 – The BMW M5 is added to the range with a 4.4-litre twin-turbo V8 producing 600hp and 750Nm of torque. 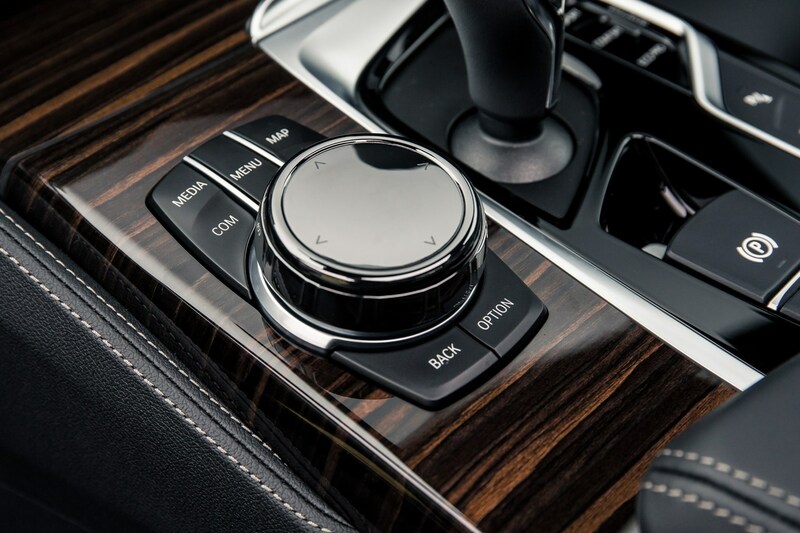 All-wheel drive and an eight-speed automatic gearbox are both standard. 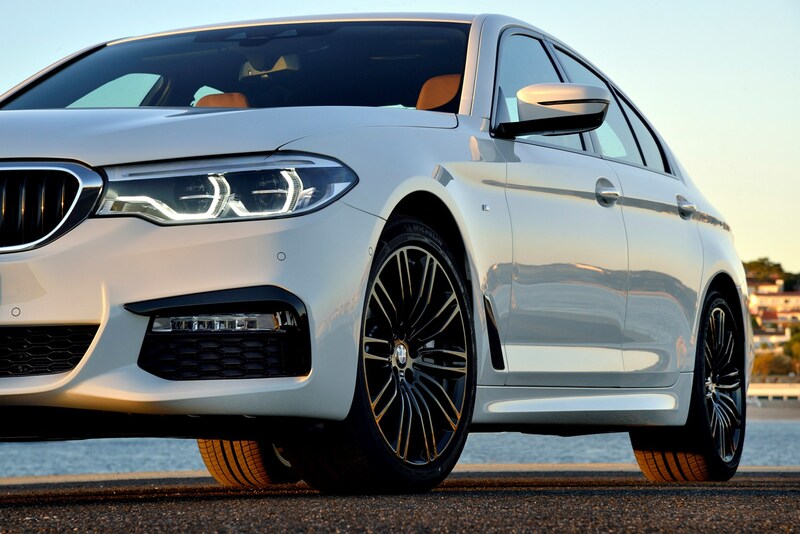 September 2018 - BMW M5 Competition available for delivery, with 625hp and revised chassis for keen drivers. 0-62mph sprint takes just 3.3 seconds. 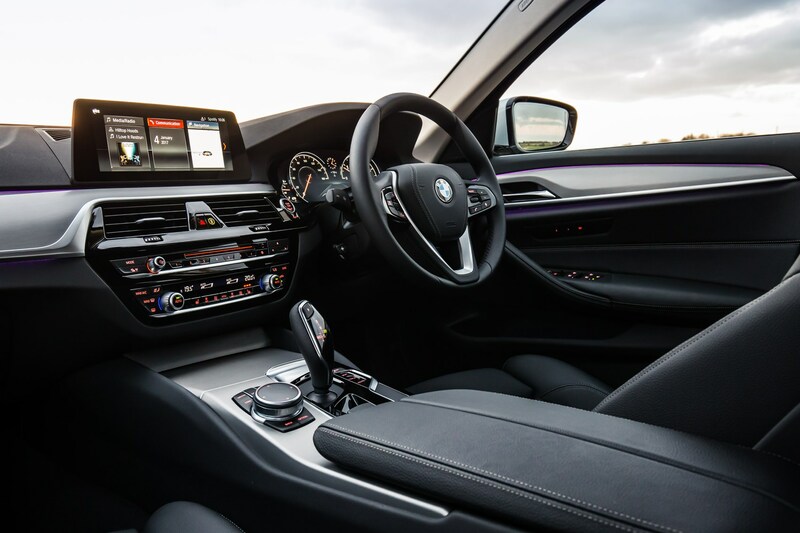 If you’re a cash buyer looking for a deal on a BMW, the best advice is usually to turn to a broker or car supermarket, where their bulk-buying power has more sway than an individual punter visiting a showroom. 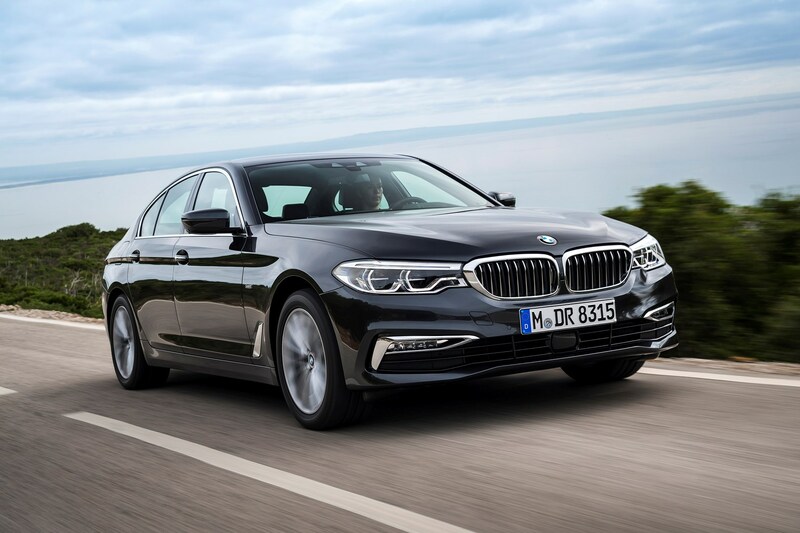 The 5 Series is one of BMW’s core models, and the company will be confident in its sales projections, so is unlikely to offer significant in-house discounts. That said, due to strong residuals, finance deals can be good value. Check out our dedicated car finance advice section for more advice and info. 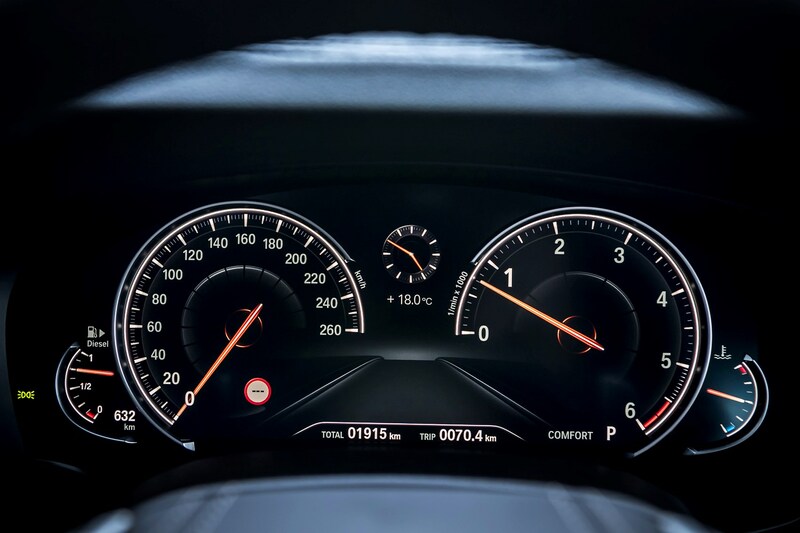 As ever, a well-specified car with well-chosen optional extras will be worth more and be easier to sell once it’s time to change again. 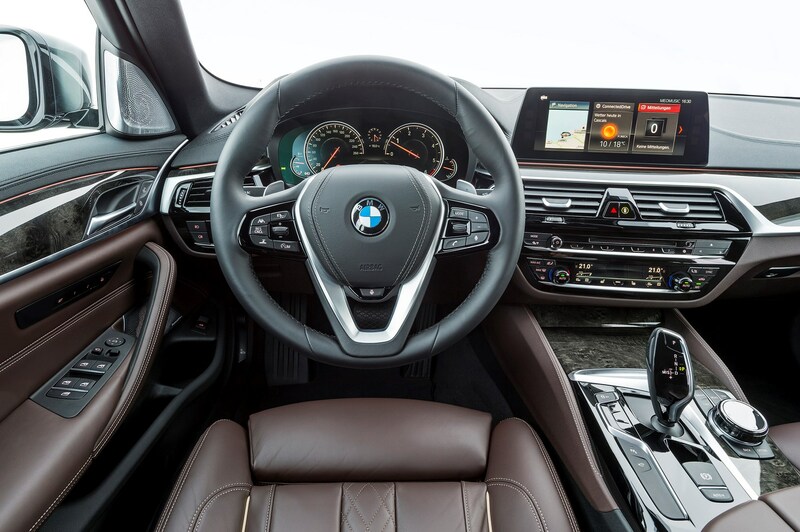 However, with such an extensive options list and key items such as sat-nav fitted as standard on the 5 Series, do your research carefully before you visit a showroom. If you go in knowing exactly what you want you’re less likely to be talked into adding on unnecessary and unwanted items that could end up costing you a lot more. 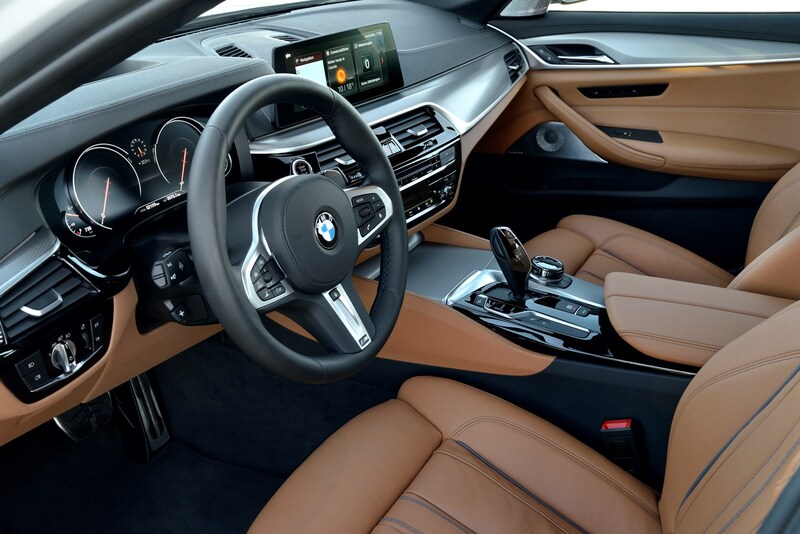 Avoid garish colours; BMW buyers are generally conservative. Plain black interiors are dull, though, so consider brightening up the inside if you want to stand out – just try and retain a sense of good taste. 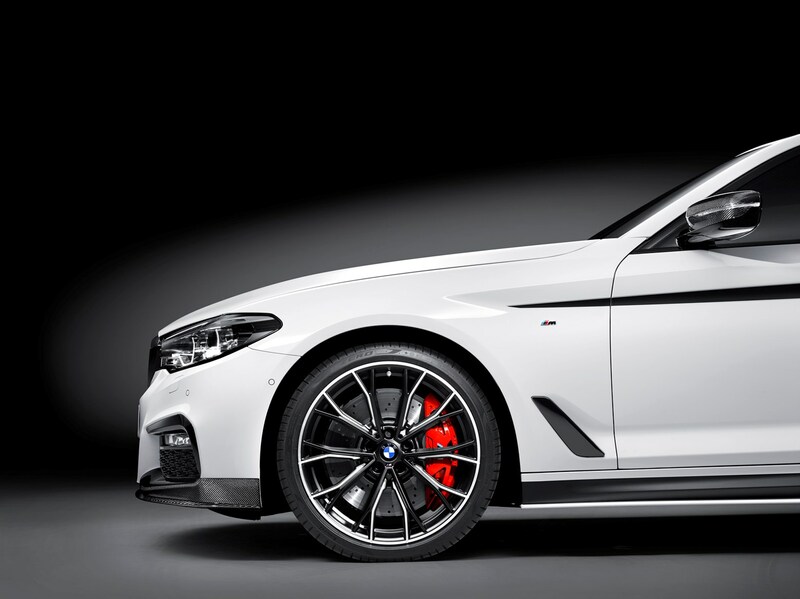 That should be easy to do, though, as garish colours aren’t really available unless you pay some eye-watering prices for BMW’s Individual programme where you can have almost any colour you desire. If you’re going to keep your car for the foreseeable future, spend some time finding the spec for you, but if you’re going to sell it on relatively quickly, then kit it out only with options that are desirable to the next buyer. That means no garish colours. 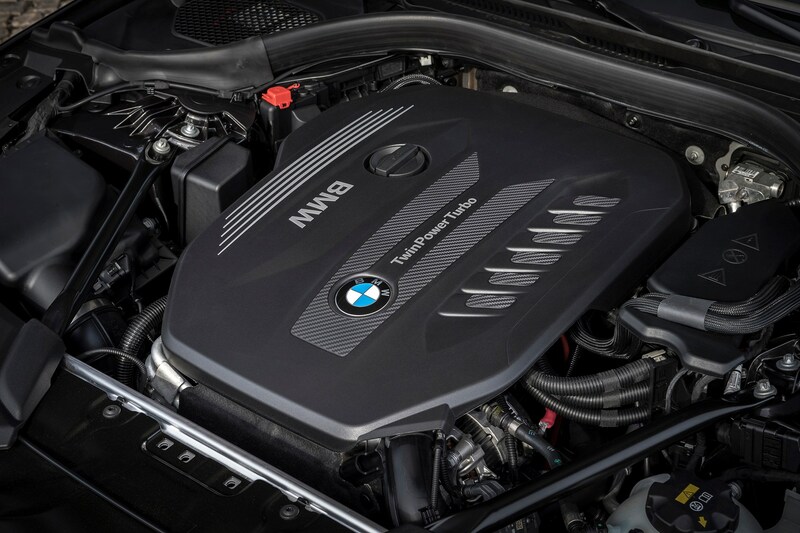 Think very carefully about whether you need the extra power of the M5 Competition, because there's a real trade-off with ride quality and everyday flexibility, as we've detailed above. 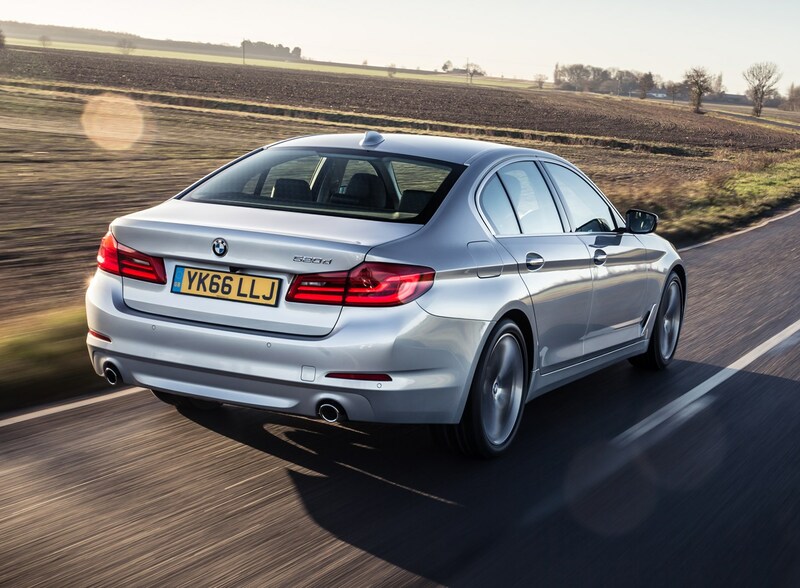 BMWs are designed to dominate motorways, so you shouldn’t necessarily be put off by high mileage. 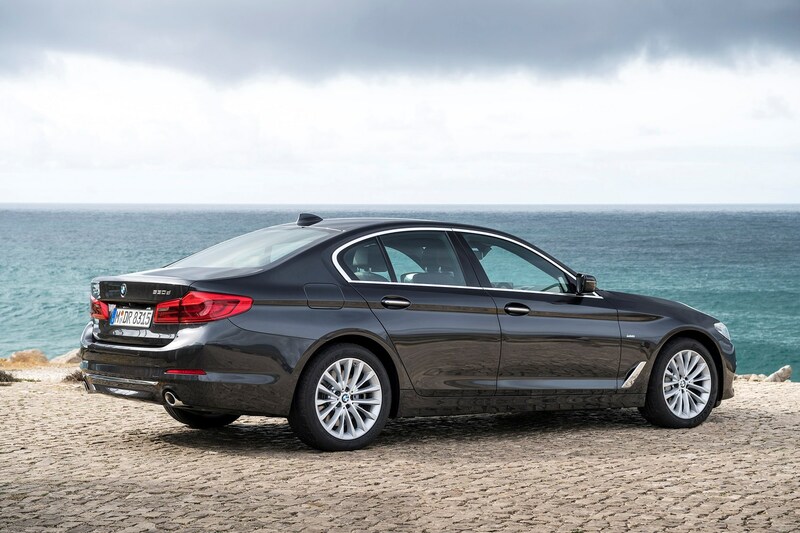 Instead look for excellent cosmetic condition that suggests the 5 Series has been properly cared for, and evidence of full and comprehensive service history. Research common problem areas, and check the VOSA website to find out about any recalls that should have been carried out – make sure that they have been. 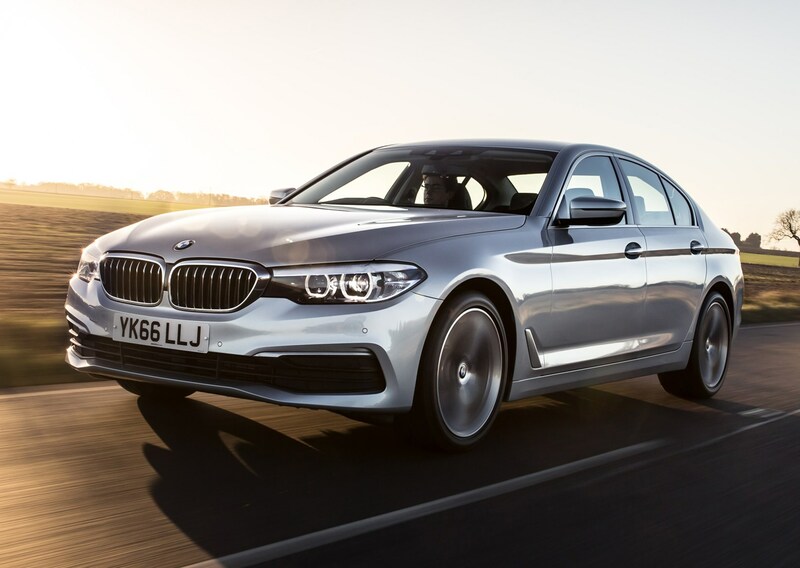 For greatest peace of mind choose a BMW approved used car – these will cost more than independent dealers and private sales, but come with the reassurance of being fully checked over by the manufacturer, which puts you in better standing should there be any problems further down the line. Don’t be persuaded to pay over the odds for highly specified cars. 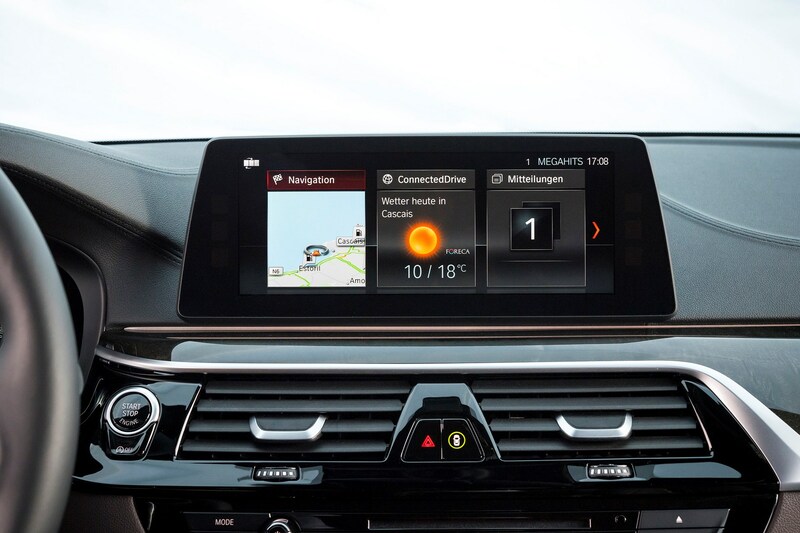 The 5 Series comes with a lot of standard equipment and many of the add-ons are tech-related – and if there’s one thing that dates quickly in modern cars, it’s technology. Powerful rear-wheel drive cars are often more prone to single-vehicle accidents, which may have been repaired without involving an insurance company. 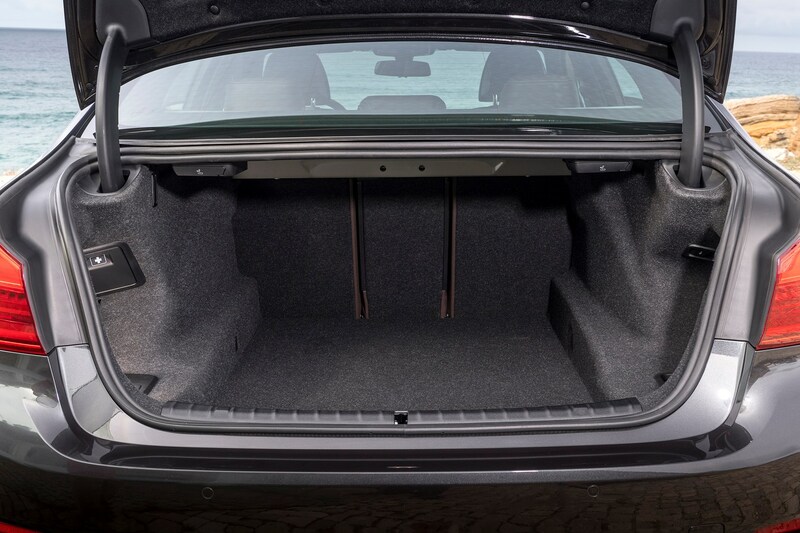 So check carefully for accident damage – for example, look for mismatched paint and poor-fitting trim, especially in less obvious areas such as inside the boot. 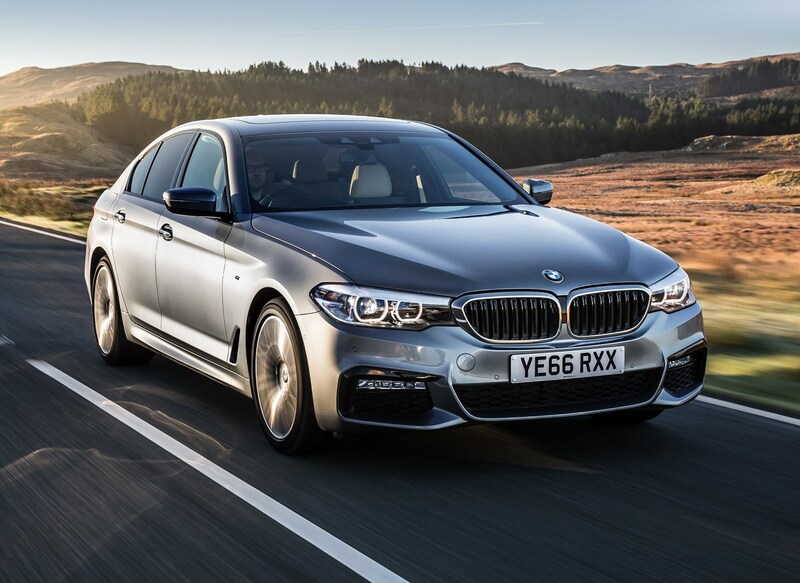 Finally, if you’re after a 520d make sure that you’re picky – this is by far and away the best-selling model, so there will be plenty to choose from. Considering the level of performance and amount of equipment you get with an M5, it’s fair to say buying a used one counts as a brave decision. You’ll need to go over any prospective purchase with the finest of toothcombs or risk being hit with a huge bill in the early days with the car. 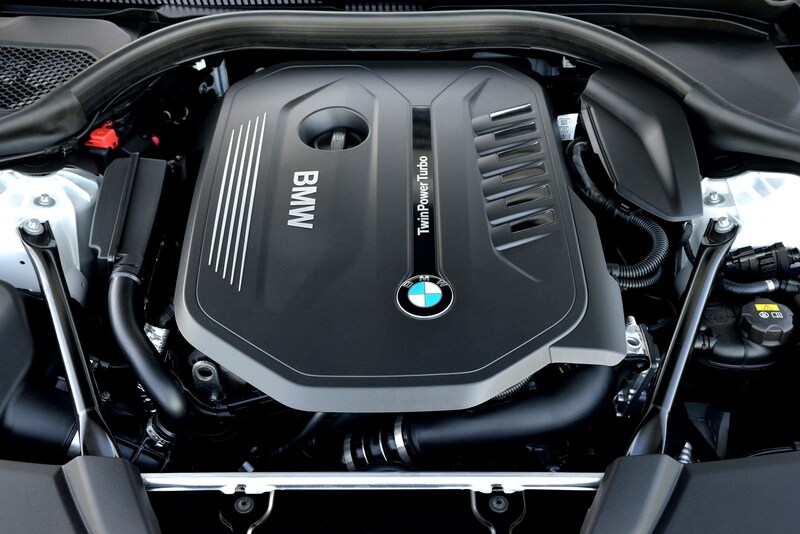 We’d recommend a BMW approved used car, or even getting an engineer’s report carried out if you’re not mechanically minded. Steer clear of modified cars, too. It’s a sign they’ve been driven hard. If you’re worried about a car’s history, take out a Parkers Car History Check to give yourself some peace of mind. 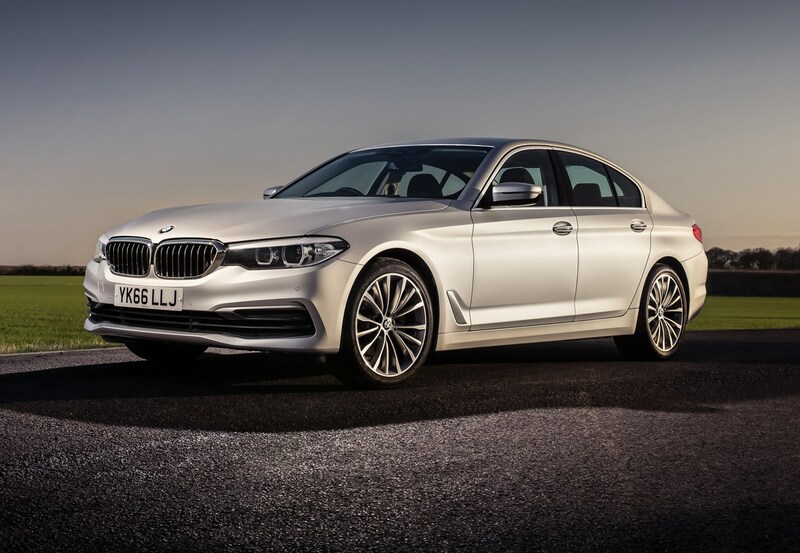 BMWs are popular cars, and people are often keen to get a used bargain rather than pay full price for a new model, so selling on a 5 Series should not be difficult. 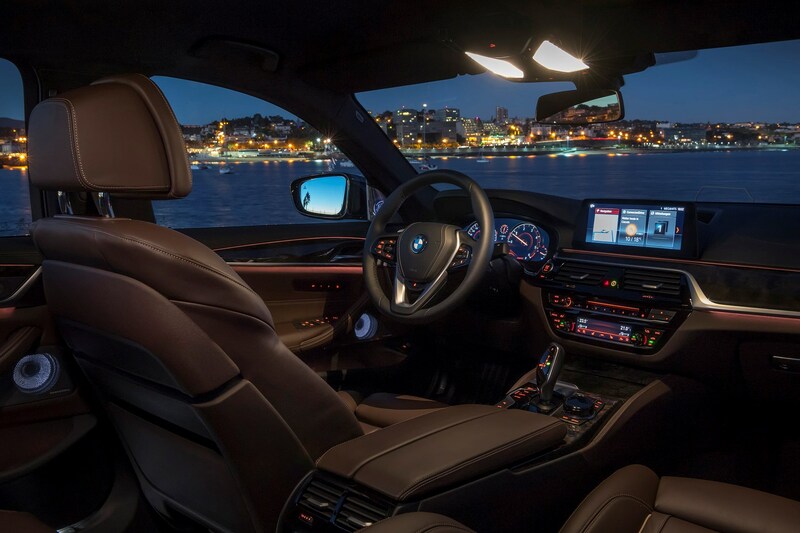 Make it easier still by presenting your car in the best-possible light. Take plenty of high-quality pictures – possibly even some video – and fully detail the service history. 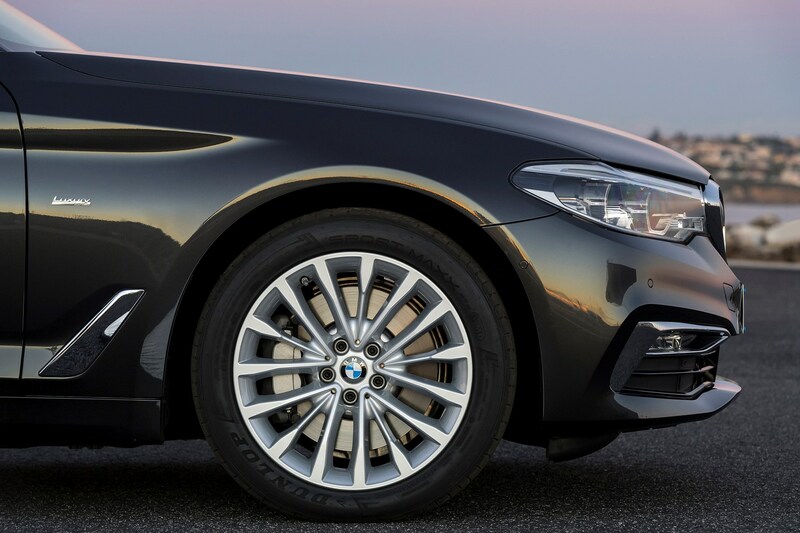 Get any minor damage repaired – scuffs to bumpers and wheels smack of careless ownership – and make sure the car is clean whenever someone comes for a viewing. You want to convince people they are buying a car from someone who has looked after it. Make sure you’re asking the right price for it by taking out a Parkers Valuation.